I purchased a pair of these pants last August. I use the pants for undergarments in scuba diving. Why? Because they use Primaloft as their insulation. If you believe the makers of Primaloft, it is as warm as down and maintains its insulator properties when wet. This is extremely import in scuba diving where heat transmission is 24 times greater in water than air, so if your suit floods this is critical. Why not just buy scuba undergarments? Because no scuba company makes a product using Primaloft. Well I've dove using these pants as undergarments over a Patagonia baselayer more than 100 times. It is truly amazing the way this combination wicks away sweat/moisture from the skin. The only time I come up with wet skin is when my dry suit leaks, even if I'm sweating profusely. These are good looking pants and you can zip open the legs allowing air to circulate freely. Next, after a year of use/abuse the rear seam along the waist line opened, about 2 inches. So I brought them into an Eddie Bauer store and they exchanged them no questions asked. A lifetime warranty, how awesome is that. Welcome to Trailspace, Carmine. 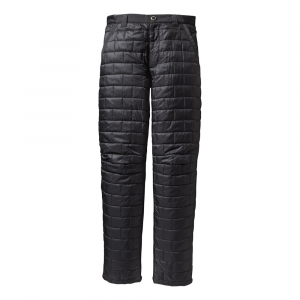 That's really interesting that you use these Primaloft pants specifically for scuba diving. Thanks for sharing this review. Thanks for the review, I've bee considering a pair of primaloft pants for an undergarment and or sleep pant for a while now. 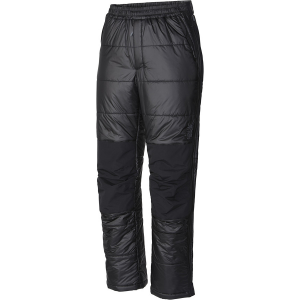 First Ascent's Primaloft insulated pants. I purchased these to use for extremely cold hiking and climbing days, and also to use around camp and minimalist sleeping in cold weather. These pants turned out to be quite disappointing. The insulating value of the pants was OK and they worked OK for staying warm, but the insulation was definitely on the thin side. The fit of the pants was not good. 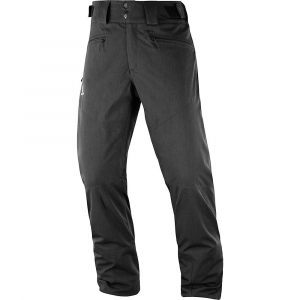 First Ascent has only one length of pant - - which I'd call pretty long - - and jumps the waist size from 32-34 in Medium to 36-38 in large. That would be OK but First Ascent does not include a feature that would allow some adjustment to the waist size or alternatively perhaps an elastic waist - - a feature found on pants in brands like Patagonia and North Face. The legs are cut very large around as well, I would imagine First Ascent wanted to allow for a lot of gear underneath, but I think they over did it. With the fit I have - - a 35 inch waist and 30 inch inseam - - the pants were annoyingly bulky and the wast was too large (the Medium size was way too small). Overall these did not meet my expectations and seem to be a lot less thought out than some of the other very good items in the First Ascent line (see my other reviews). 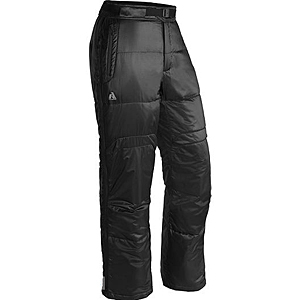 Warm, easy to ventilate pants. They are made of synthetic insulation and will keep you warm even if you sweat. Full zippers make it easy to vent and put on gear even after the pants are on. Fit is true to size, these are comfortable pants with adjustable waist and a full zipper. The full zipper allows you to ventilate easily if you get too hot. The zippers can also work from either end, which allows you to zip down from the waist, or up away from your boot to change footwear, add a harness easily, or add crampons. They have reinforced areas of fabric to hold up against abrasion. Even with lots of glissading on crusty snow, they seem to be holding up well after 2 seasons of use. I just acquired these, and agree about the fit in terms of leg girth. I have three different models of FA pants. 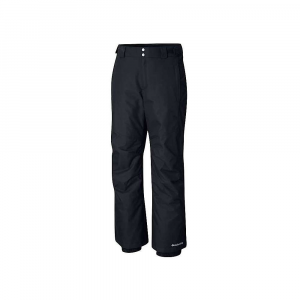 The ski bibs, the mountain guide softshell pants, and the Igniter Pants. 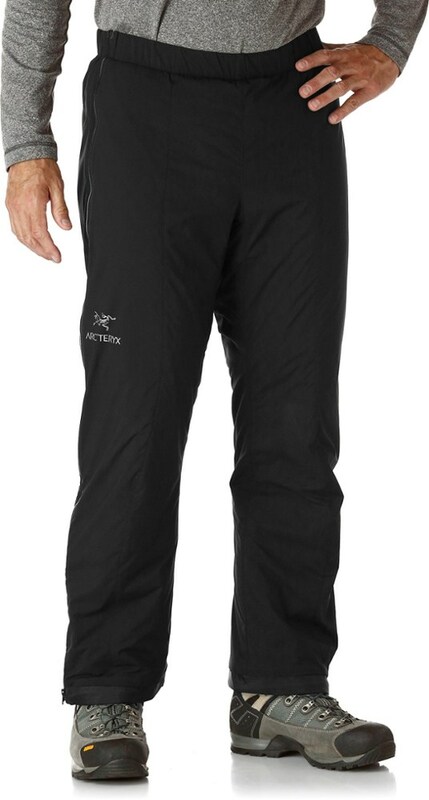 All claim to have the same sort of fit, but the bibs have a huge amount of space in the upper leg area, while the fit is similar in the igniter pants, but the softshell pants fit perfectly. I would have expected the Igniter Pants to have fit snugly, using the insulation to fill the space. 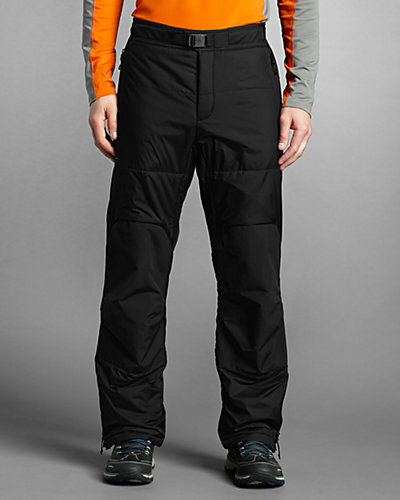 The Eddie Bauer First Ascent Igniter Pants is not available from the stores we monitor. It was last seen July 25, 2016	at Eddie Bauer.